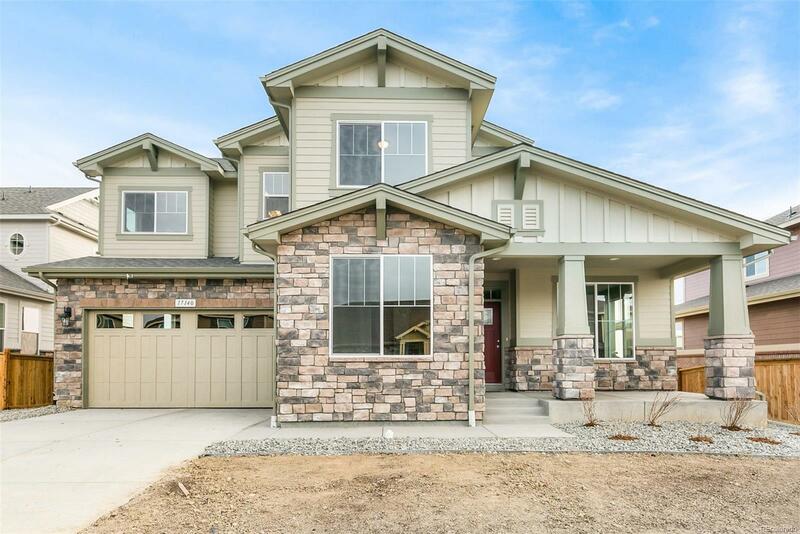 Beautiful open two story home with 4 Bedrooms, Study and Loft. Great Room with gas fireplace. Spectacular gourmet kitchen includes granite counter tops, hardwood floors, stainless appliances, a large island, full unfinished basement, front and rear yard landscaping and fencing. Beautiful corner lot showcasing the 4 sided stone exterior. Builder 2-10 Limited Warranty.